If you are good boys and girls, perhaps the holidays will yield the perfect road trip. Unfortunately, you may have to settle for two people who have already accomplished that feat, twice. Business Insider’s Benjamin Zhang spotted the new trailer for Top Gear Perfect Road Trip 2, which is now available for pre-order. 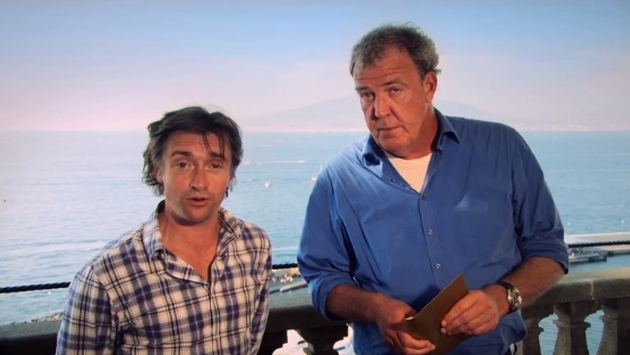 Those not familiar with the adventures of Jeremy Clarkson, Richard Hammond and the peculiarly absent James May are missing out on laughs and cars and, well, more laughs. You will also get some discussion on how to properly order a meat sauce throughout Italy. “So, it’s Italy... 500 miles from Venice to the Isle of Capri via Bologna, Siena, Rome, Pompeii, Sorrento and Positano on the stunning Amalfi coast. Apparently, the Stig will inevitably feature in a segment that promises a rearranging of furniture. We assume Stiggy hasn’t become an interior designer and this means something entirely different. There will exotic and classic cars we are sure, but the joy is seeing some amazing destinations through the eyes of compelling hosts. Now please, Italy, figure out your stuff and decide how you want to call spaghetti with meat sauce.